Nice life on the river. Jypyä Pop (Turku, Finland) on 30 June 2017 in Lifestyle & Culture and Portfolio. Jakke Jokilautta is a former highway that has been transformed into a nutrition. 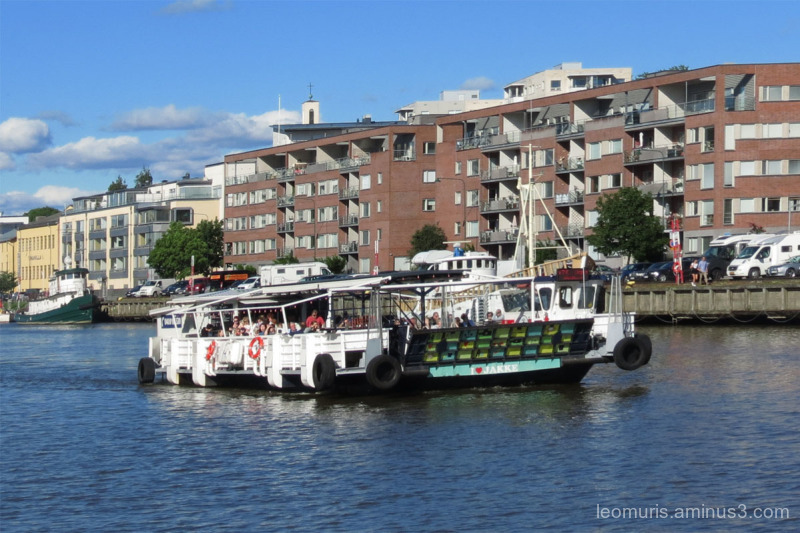 On a ferry ride you can watch the Aurajoki scenery between Auransilla and the harbor, while enjoying a summer drink. Un bateau original pour aller boire un verre. Looks like a lovely place to spend an afternoon. Beautiful image - this looks like a relaxing way to spend time. what a beautiful image here !!!!! Looks like a nice way to travel the river. A cool floating restaurant. A nice and inviting party boat.